Today I am launching a new series titled "Rewriting Life". This series will feature ways that each of us can make positive changes in the way that we choose to live our lives now and in the future. As a counselor I encountered many people whose everyday lives were being negatively impacted by things that they had the power to change, but who did not know how to go about making those changes. This series will focus on those topics and will also contain links and resources for each topic. We all have big stressors in our lives that are hard to avoid and can increase our cortisol levels by 100%. While small everyday stresses may not raise our stress hormones up to the levels of major stressful events, their constant occurrence in our lives can wreak havoc on both our physical and emotional well being. You can find more about how stress impacts your health here. What type of person are you? Are you someone who can laugh off small inconveniences like misplaced keys or being stuck in traffic, or are you someone who gets stressed out and lets these things ruin your day? If you are in the first group you may not need to read any further, but if you are in the second group there are ways to change the way you react. 1) Recognize that small annoyances are a normal part of life. They happen to all of us. Know that the amount of effort you put into worrying over these small annoyances really isn't worth it. 2) Find a new perspective. Most small annoyances are just that. They are not life altering and if you think about them in comparison to events that are life altering, you will see that they aren't worth the amount of worry you are giving them. 3) Change how you look at the event. For example, if someone cuts you off in traffic instead of feeling angry and yelling at them rethink why they may have done it. Maybe they had an emergency they were trying to get to. Smile and be happy they didn't cause you to get into an accident. At the end of the day it probably doesn't matter that you were one car behind. 4) Stop and breathe. When we get worried and anxious we tend to take very shallow breaths. Stop and breathe deeply. Slowing down your breathing can be used along with meditation to calm and relax you. Changing how we react to the small stuff can help to give us all a happier and healthier life. Do you have a way to avoid stress in everyday situations? I would love for you to share your solutions with us. P.S. 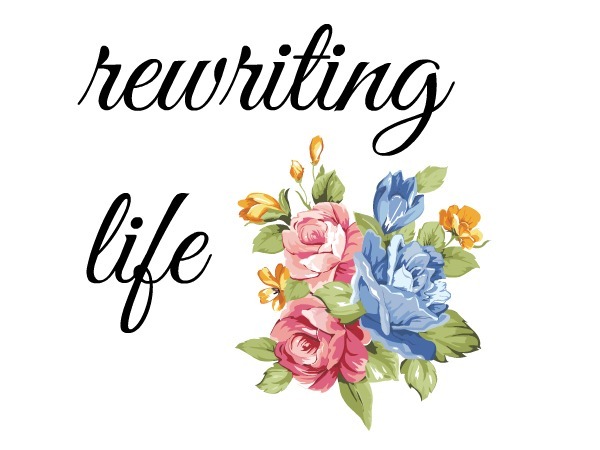 You can find the page for Rewriting Life here. Disclosure: As a member of the Amazon Affiliate Program I receive compensation for any purchases you make through links from this site. Great advice Laura! I need to remember these things in my very hectic life!! Hope you have a great 4th too, Linda. Great advice---I think we all need this! Thanks! You have some great suggestions Laura, life is too short, and it's all how we look at it isn't it? And I've finally learnt to keep my keys in one spot, that's starting to really work for me too. Some great advice for sure! I can laugh off the small stuff but I admit the bigger stuff weighs me down! Glasses and keys are always amongst the missing. To solve my eyeglasses problem, (you gotta see!) I purchased at least a dozen pair of glasses so one pair is usually in sight. Enjoy the holidays Laura! 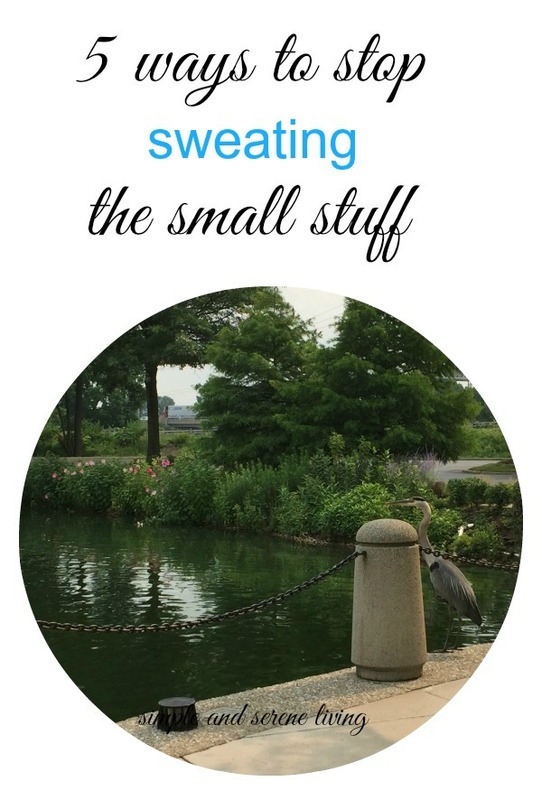 Unfortunately, I am in the group that tends to sweat the small stuff. Although, I've gotten better with age. It's part of my DNA I guess. I have learned though that often it doesn't pay to worry about things that we cannot change. So, I often have to remind myself of that whenever I feel myself getting angry at little things. Of course, hormones play a factor too since I'm shifting into my 50's. So helpful! I've become much better with this with age but have my failings. I must remember what you wrote about questioning whether or not it is a life altering thing or not. Haha! Well because I've lived through some major stressors I've learned perspective......still I can struggle when I haven't had enough sleep. Which is what I need to be doing now. Looking forwards to your series Laura.